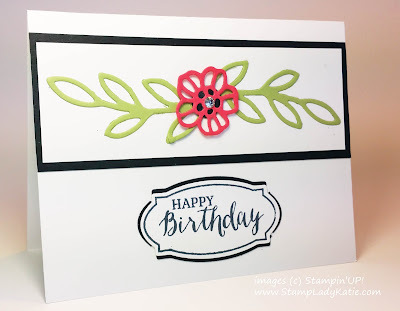 One of my favorite products in the new 2016 Occasions catalog is the Rose Wonder Stamp Set and matching Rose Garden Thinlit Dies. There's enough variety in this die set to create some very different looking cards. 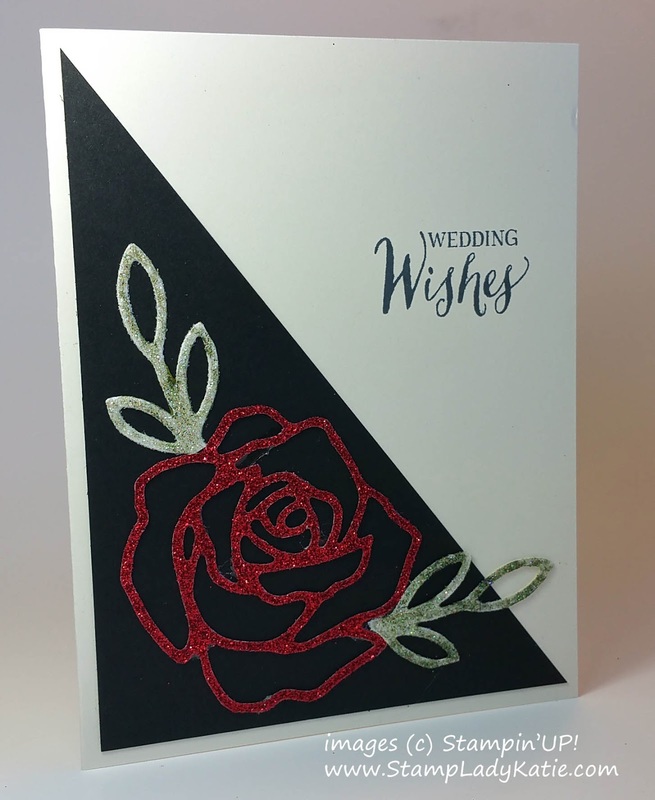 This first card features the single rose and the leaf frond die. More on this card in tomorrow's post. The 2nd card features the smaller flower and the frond again. I love this color combination: Old Olive and Watermelon Wonder. Its so bright and fresh looking - perfect for spring. here is a list of the products used on the 2nd card.